There was a time when people were encouraged to hide their mental illness from the world, due to stigma and shame. Now, there are hundreds of online support communities that want people to share their mental health stories and show them they are not alone. Blue Monday, which occurs on the third Monday of January, is often publicized online and in the news as the most depressing day of the year. While scientific evidence has proven this is not true, this term continues to trend on social media every January and contributes to the conversation around mental health awareness. January is also home to Bell Media's popular mental health awareness campaign #BellLetsTalk, where Bell contributes proceeds from every #BellLetsTalk hashtag used in text messages or on social media on that day to support mental health organizations. With all of these social media initiatives contributing to the conversation around mental health, I am amazed at how far we have come. There was a time when people were encouraged to hide their mental illness from the world, due to stigma and shame. Now, there are hundreds of online support communities that want people to share their mental health stories and show them they are not alone. Social media has truly changed the way we look at mental health. Seeing this kind of support and acceptance from a huge celebrity can truly make a difference. In 2018, it is expected that 20 million Canadians will have at least one social media account to connect with the world around them, share news and stay in touch with friends. Social media also provides us with a sense of community. People suffering with their mental health often describe being stigmatized by their illness and have trouble speaking out about it at school or work. The mental health community on social media has given people an opportunity to contribute to mental health awareness by giving them a voice. People can now search a hashtag, like #TalkAboutIt, on Twitter or search mental heath support groups on Facebook and find like-minded individuals who are experiencing the same things they are. The ability to connect with others through social media is an incredible thing. Regular people dealing with mental health challenges aren't the only ones speaking up. Social media gives us access to celebrities and influencers like never before. It should come as no surprise that celebrities, just like us, suffer from mental health issues or know some who does. A lot of popular celebrities have come forward via social media in recent years to speak about their mental health and support others who are dealing with mental health challenges of their own. Well-known public figures such as Carrie Fisher, Lady Gaga and Ryan Reynolds have used their social platforms to help reduce the stigma around mental illness. Seeing this kind of support and acceptance from a huge celebrity can truly make a difference to someone who is dealing with their own mental health challenges. Mental health organizations are also now using social media to help them implement campaigns around mental health awareness. Organizations like CAMH and the Canadian Mental Health Association have utilized social media to show followers what they're working on and the impact their organization has on mental health. People dealing with mental health issues are now a lot more aware of the services that these organizations provide, and have the ability to connect with them more efficiently than ever before. That being said, I know there is a dark side to social media use as well. 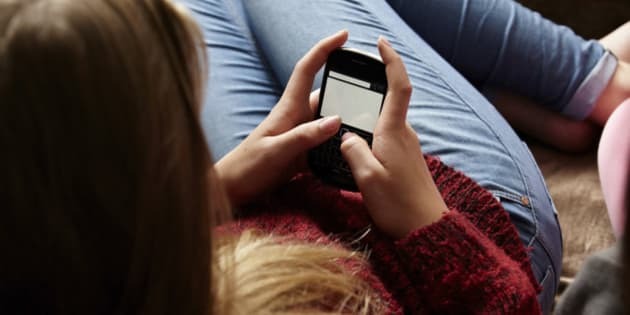 Issues like cyber bullying continue to plague these social networks, and can end up creating mental health challenges instead of assisting them. That's why I think it's so important to practice the kinds of values that are promoted on these trending days, like acceptance and understanding, year round. With 30 years of experience in the mental health field, seeing the outpouring of support that comes through on social media on days like #BellLetsTalk or #WorldMentalHealthDay is amazing. While I don't love every aspect of social media, I do love the mental health community that has emerged as a result of it.